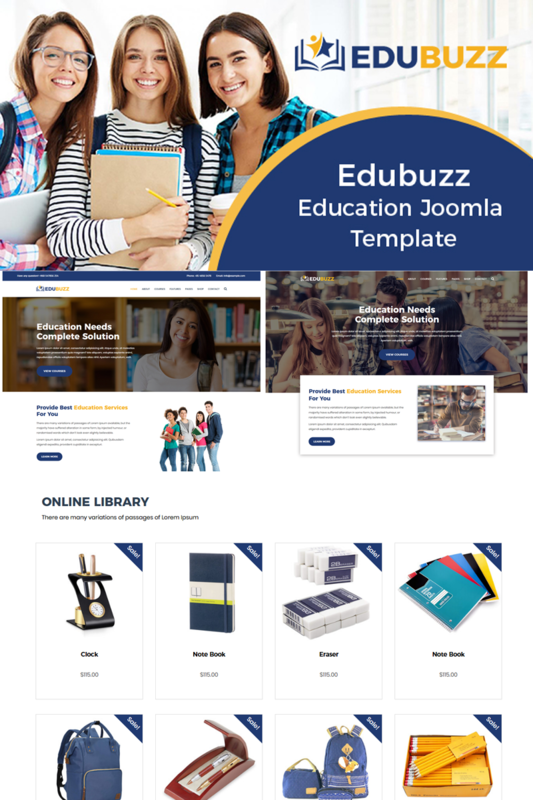 Edubuzz is a stunning Joomla template designed with the best of creativity. This template can widely be used as high school, kindergarten, college, university, research center, coaching center, consultancy center website etc. Edubuzz is a complete Bootstrap 4 template with numerous features. Including 2 Home Versions Edubuzz has, 19+ pages, Working Ajax Contact Form, Owl-Carousel Slider and many more attractive things. Above all, the visual output of the template is truly appealing and fully responsive to different devices. Such a template Edubuzz is that, it brings all the modern facilities for the visitors. Edubuzz brings Helix Ultimate, Sp Page Builder Pro, well documentation etc. In fact, this Joomla website template is perfectly cross-browser compatible which works proportionately well in all major browsers like Firefox, Safari, Chrome, Opera and Internet Explorer. Consequently, Edubuzz is one of the best Joomla Bootstrap 4 template on the basis of its creativity and User Interface. So, you can depend on Edubuzz without hesitation.